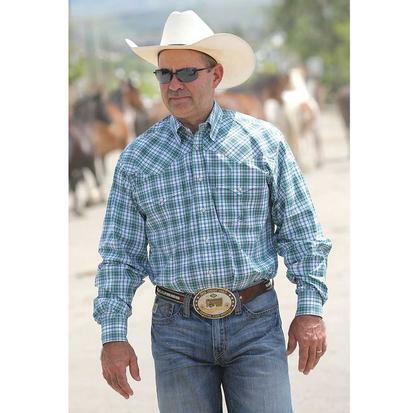 Miller Ranch green and navy plaid shirt is a top quality luxury shirt that can be worn in the office, at the ranch, or during a night out on the town. 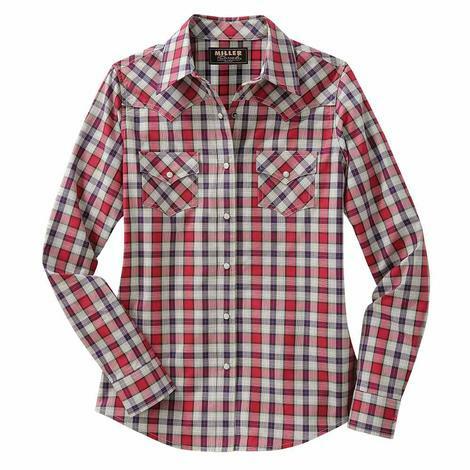 Features 100% plain weave plaid cotton construction with embroidered logo at front pocket. 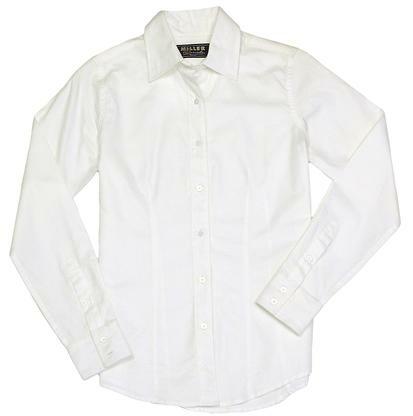 Solid light blue dress shirt with a polished exterior for a strong yet subtle statement using something other than words. 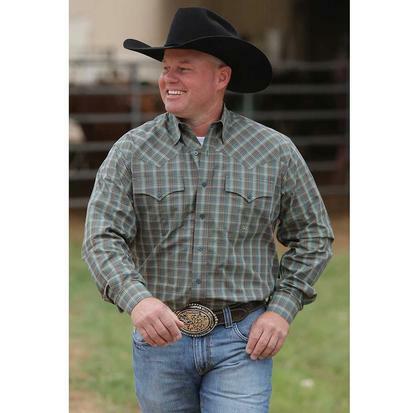 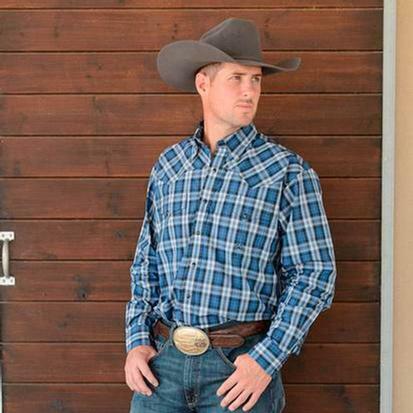 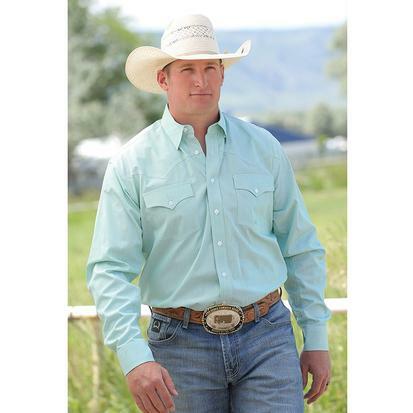 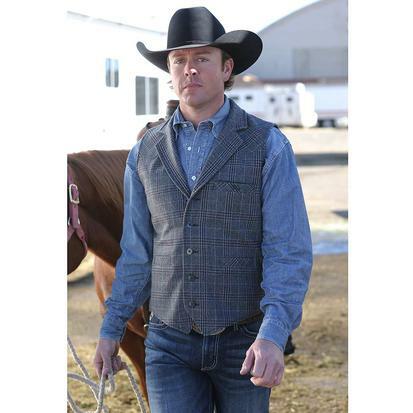 When it's time to step off his horse and head into town, Miller western shirts are the one to go to. 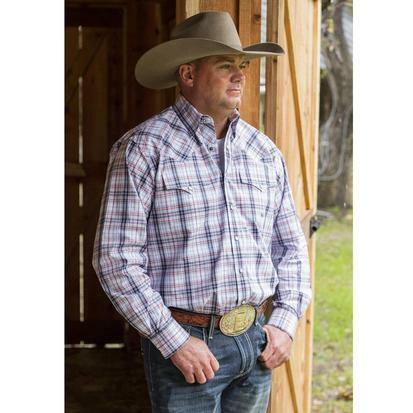 These shirts are cut according to distinct classic western design and apply the workmanship and attention to detail that parallels the man who puts them on. 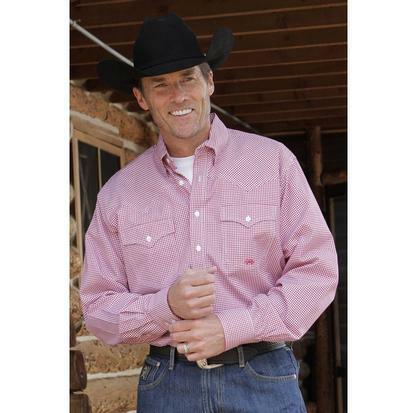 Miller western shirts are the one to go to when it's time to step off his horse and head into town, . 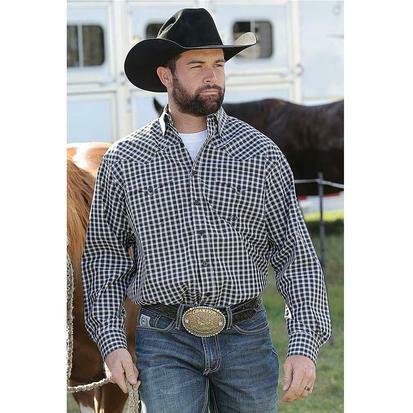 These shirts are cut according to distinct classic western design and apply the workmanship and attention to detail that parallels the man who puts them on. 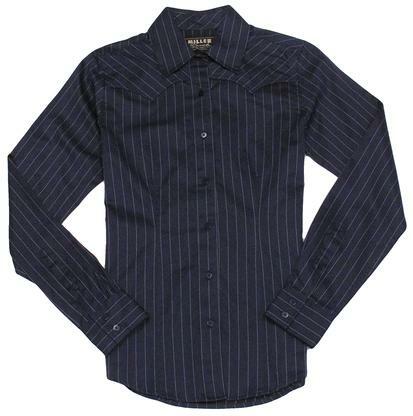 A western button-down shirt made by Miller features a classic navy and white plaid, an open collar, and chest pockets with flaps. 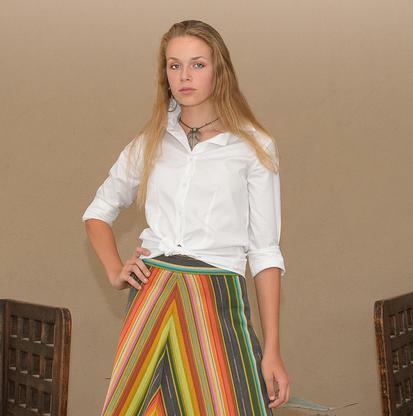 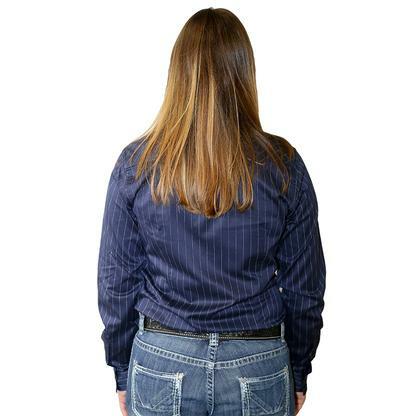 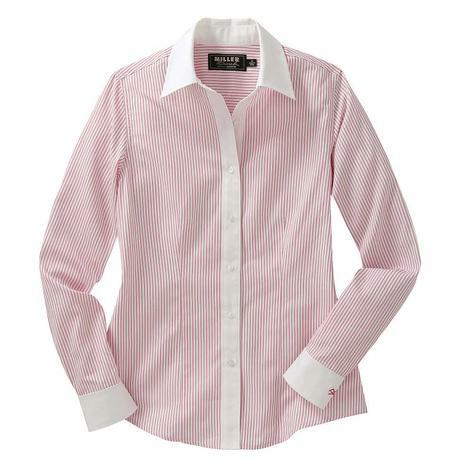 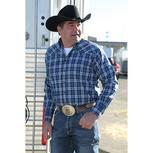 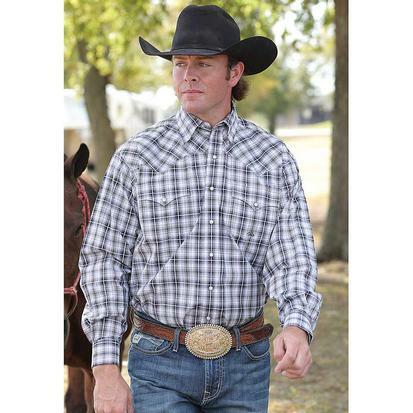 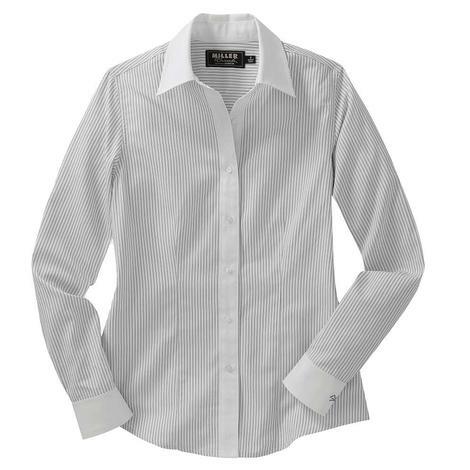 The western styling on this shirt is an instant hit every time. 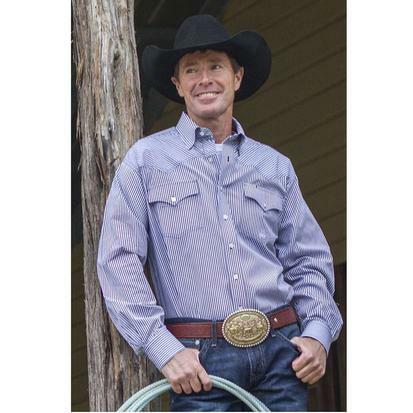 Miller International is one of the most successful privately owned Companies in the Western Industry whose brands continue to gain impressive popularity and growth.